Over the past few years, Adidas has partnered up with the environmental group Parley, which is dedicated to cleaning the oceans and preserving marine life. This collaboration has manifested into some dope sneakers including variations on the EQT 93/17, NMD and of course the UltraBoost. 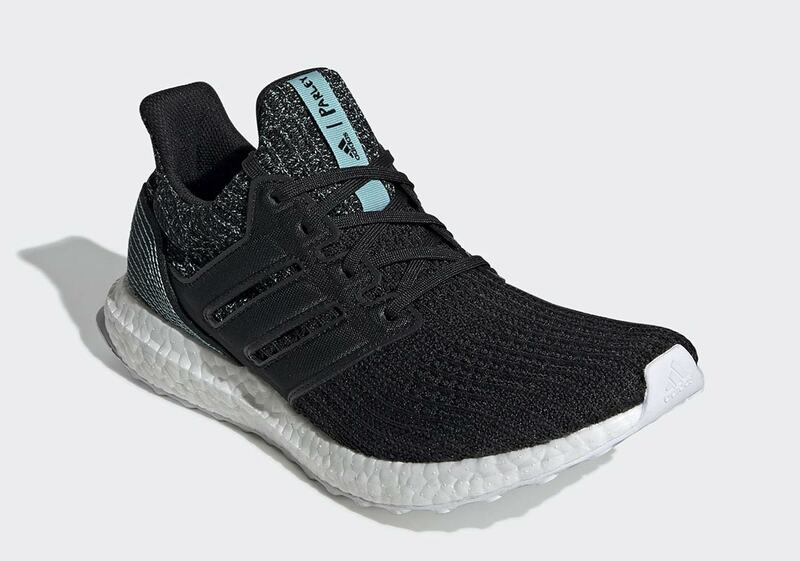 The UltraBoost has seen the most Parley colorways which typically carries an ocean motif. Now, the brand with three stripes is teaming up with Parley once again for a darker version of the Adidas UltraBoost. What makes this collaboration unique is the fact that the shoe is made out of recycled ocean plastics, which make these sustainable. As for the colorway, the primeknit upper is dressed in black with speckles of white found throughout. On the tongue of the sneaker, there is a little Parley tab that features the signature "teal" coloring. As for the Boost, that comes in white and is as comfortable as ever. The insole of the shoe is teal and also features Adidas x Parley branding. According to Sneaker News, this new colorway dropped today overseas and should see a stateside release quite soon. If you need to have these now, you can find them at SNS for $220 USD.